• Q: What makes you different than other acting teachers? A: I have 21 years experience as an actor, teacher, and director. 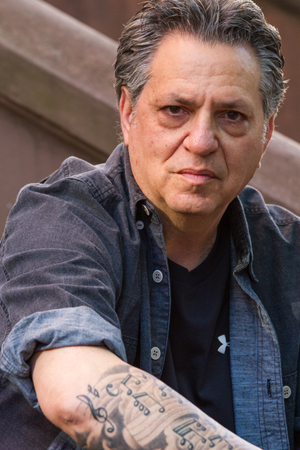 Trained in the Meisner Technique, I have a thorough knowledge of the craft and have the ability to communicate to actors what they need to do to achieve truthful human behavior. I also believe that a teacher has responsibilities to their students that go beyond the classroom. So I make myself available to students that need my advice, counsel and support. There have been numerous times when students have called to meet with me to discuss any number of issues that concern them and I have met with each of them to lend my support. Any good teacher must have empathy to be effective. It is very important to me that I contribute to the growth of my students on a professional as well as personal level. • Q: How much are your classes and private coaching sessions? A: My classes are $50 per class. Each month is payable in full. My hourly rate for private sessions is $125 per hour. If you take a block of three private sessions within a 4 week period I charge $100 per hour. • Q: Okay, I want to study with you. What should I do, and what can I expect? A: Firstly you can take advantage of the free audit I offer so that you can observe me teaching and get a feel for the class. Then, if you would like to join the class you will begin the following week. 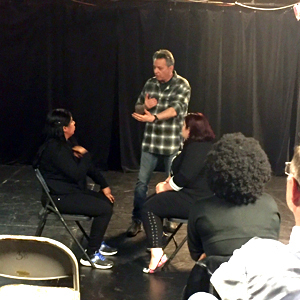 You can expect to get thorough and specific training in the Meisner Technique. You can also expect honest feedback in a supportive environment that is conducive to learning and one in which you will be able to take risks without fear of humiliation. • Q: What if I don't live in NYC-can you still teach me? A: Yes. I am registered with Skype & Facetime for Iponesusers. It's easy to register and free. This service enables me to coach you even if you live outside NYC. • Q: How can I pay you? Do you accept credit cards? A: You can use a credit card to pay me via PayPal or you can pay via cash/check and I will provide you with a receipt. If you are pyaing via Paypal, please send money as a friend / family member to avoid charges. • Q: I like you and I want to tell people about your services. Do you have a referral program? A: If you refer anyone to my workshop, and they attend, you get a 25% discount on the workshop. If you refer anyone for classes you will get one free class. If you refer anyone for a private class, you will get a 15% discount on your next private class.